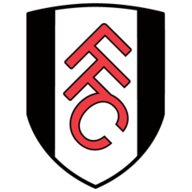 Fulham's £11million striker Ross McCormack eased the pressure on boss Felix Magath with the only goal of the Cottagers' 1-0 Capital One Cup victory at Brentford. The forward latched onto Chris David's defence-splitting through ball to slide a low shot into the far corner to settle a hard-fought west London derby. Tim Hoogland twice went close with long-range efforts for the visitors before the break as the game ebbed from end to end. Fulham's best chance fell to Cauley Woodrow on the half hour but the teenager skied Kay Voser's pinpoint right-wing cross from close range. 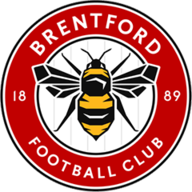 Brentford's Spanish import Jota went closest for the hosts in the opening stages, stinging Marcus Bettinelli's fingertips with a rising angled drive from a well-worked free-kick. Moments later the goalkeeper had to scramble Jota's low drive to safety at the foot of his post just before the break as Brentford pressed for the opener. McCormack thought he had broken the deadlock on the hour mark when he skipped away from the Bees' flat back four and fired home, only to see the effort ruled out for offside. Stuart Dallas headed inches wide for the hosts minutes later as the game hung in the balance, while Jake Bidwell cleared Woodrow's goal-bound drive off the line at the other end. McCormack settled it with a decisive finish - a goal which prompted a strong response from the hosts who pressed forward but lacked the quality to work their way back into the game. Both sides showed many changes from Saturday's league outing, but it was a much needed and probably a justly-deserved boost for the Cottagers and their under-fire manager Magath.